PHOENIX – A trio of students in the Phoenix Central School District have tackled a service project aimed at helping elderly community members during the winter season. Phoenix Central School District students Jon George, Caitlin George and Nicole Hetko prepare Blizzard Bags as part of a community service project they have done in each of the past three years. 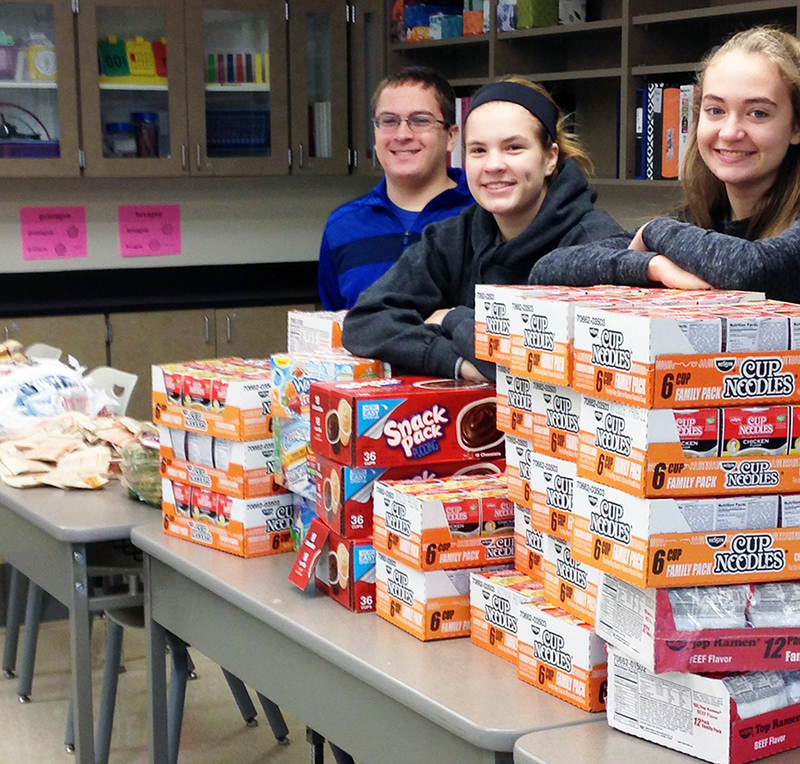 For the past three years, eighth grader Caitlin George and juniors Jon George and Nicole Hetko have put together Blizzard Bags to distribute to senior citizens in the Phoenix area. The students pound the pavement to get food donations from local businesses such as Tops, Wal-Mart, Target and Price Chopper. The nonperishable items are then separated and bagged for distribution to clients enrolled in Oswego County Opportunities’ Nutrition Services. This year, the trio prepared 110 Blizzard Bags, which will provide clients with an emergency food supply if there is inclement weather and the Meals on Wheels program is unable to deliver. According to PCSD teacher Nicole George, the students began this year’s collection efforts in August and the bags were completed in mid-November.